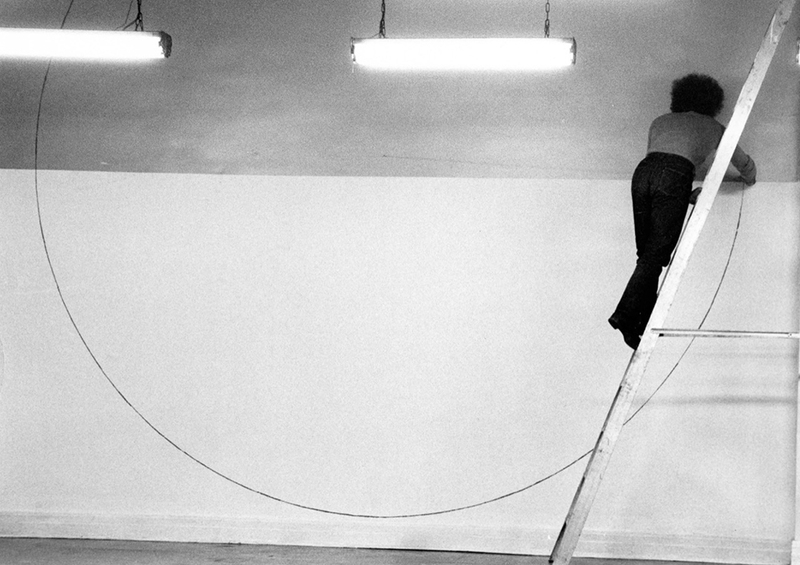 Raymond Gervais, Carignan : circuit-les-ponts, performance, 1977. 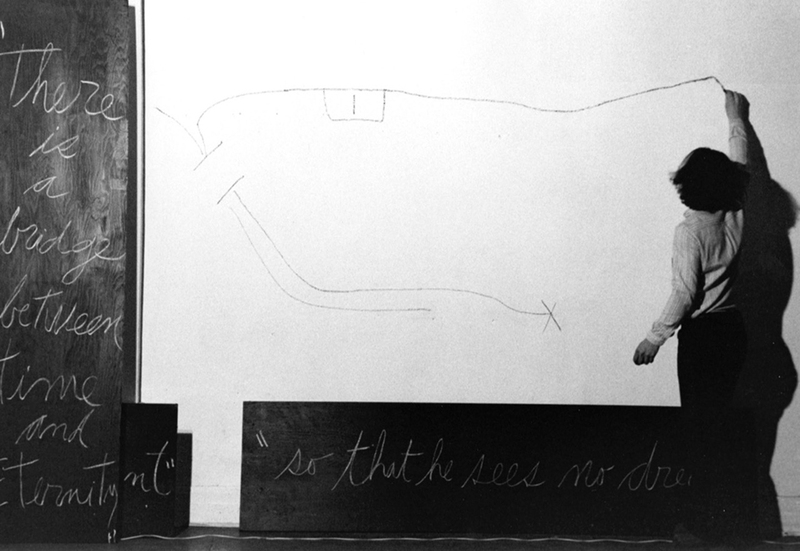 Western Front – Vincent Trasov, performance, 1977. 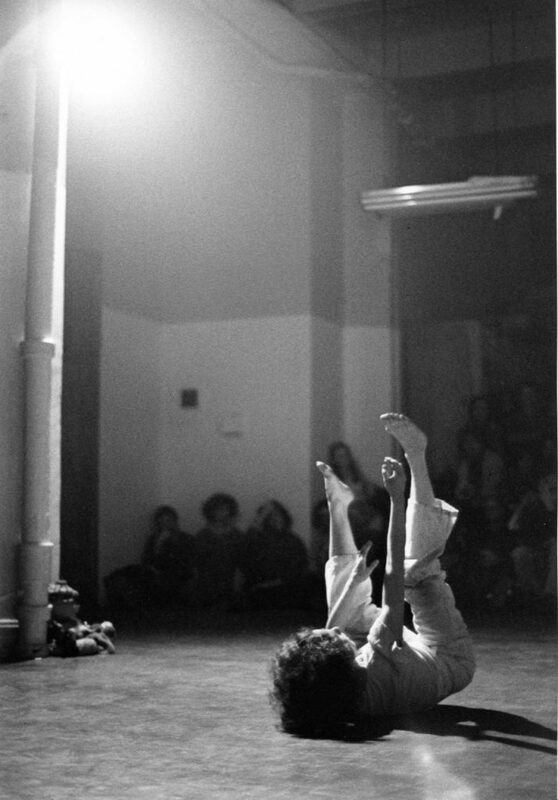 Simone Forti and Charlemagne Palestine, performance, 1977. 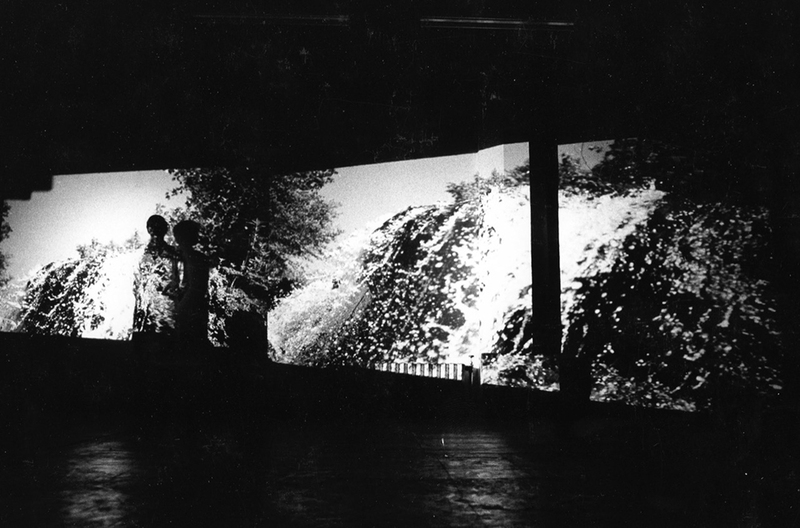 Simone Forti and Normand Thériault, view of the exhibition, 1977. Bibliothèque et Archives nationales du Québec (Fonds PARACHUTE, revue d’art contemporain). 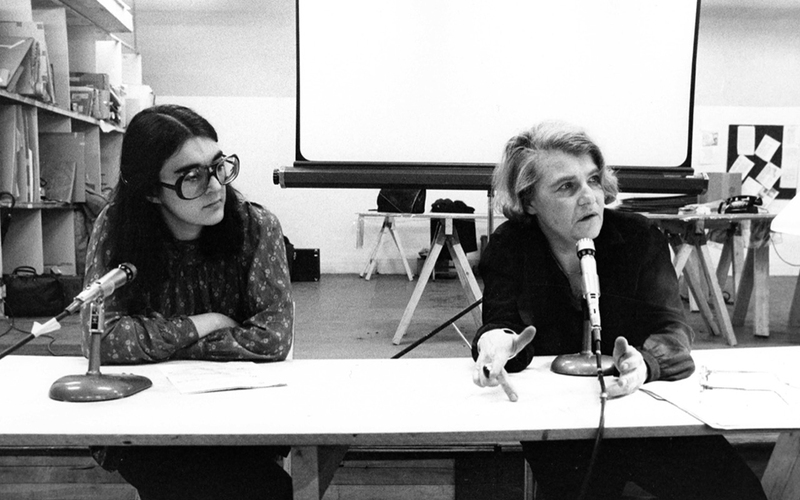 Chantal Pontbriand and Annette Michelson, conference, 1977. 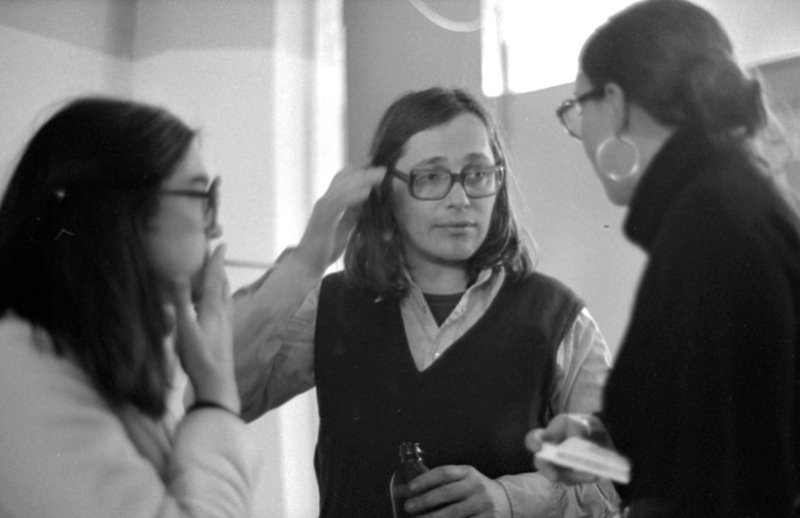 Chantal Pontbriand, Normand Thériault and France Morin, organizers of the event, 1977. Bibliothèque et Archives nationales du Québec (Fonds PARACHUTE, revue d’art contemporain). 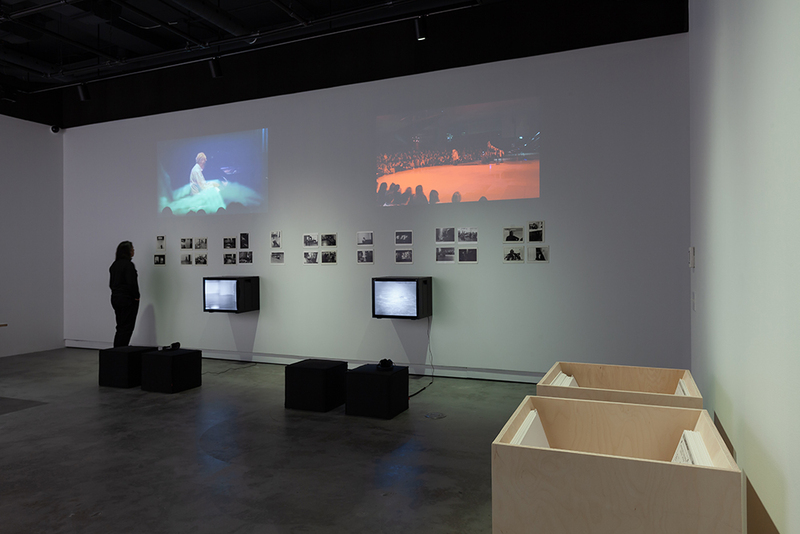 View of the exhibition “Créer à rebours vers l’exposition”: The case of 03 23 03, VOX, from February 15 to April 27, 2019. VOX wishes to thank for their precious contribution Simone Forti and Charlemagne Palestine, Chantal Pontbriand, Klaus Rinke, Michael Snow, Normand Thériault, Bibliothèque et Archives nationales du Québec (Fonds PARACHUTE, revue d’art contemporain), the National Gallery of Canada (Library and Archives), the Musée du Louvre and The Box LA. 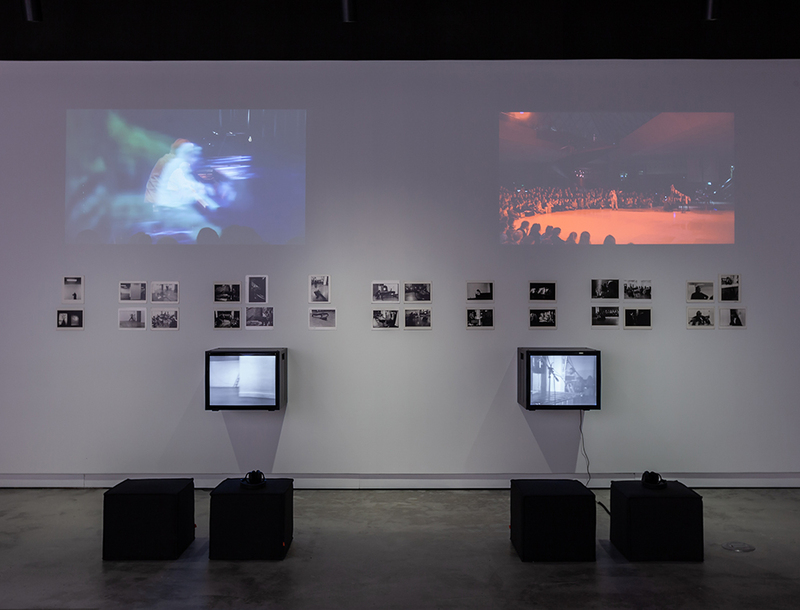 Continuing its research into the practice, history and future of exhibitions and their documentation, VOX presents the fifth in its series of documentary exhibitions, dedicated this time to the event 03 23 03 – First International Encounter on Contemporary Art in Montreal. 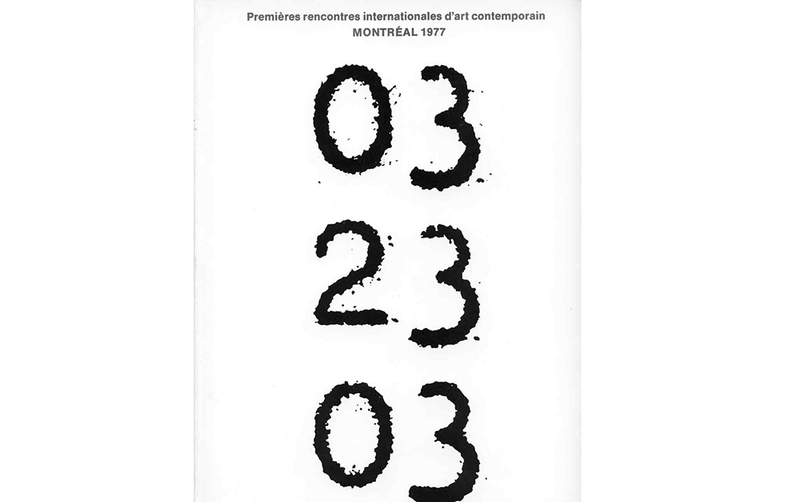 Organized by France Morin, Chantal Pontbriand and Normand Thériault and presented in a disused post office at 1306 Amherst St. from March 3 to 23, 1977, this art event included an exhibition, a program of performances, and a series of debates. 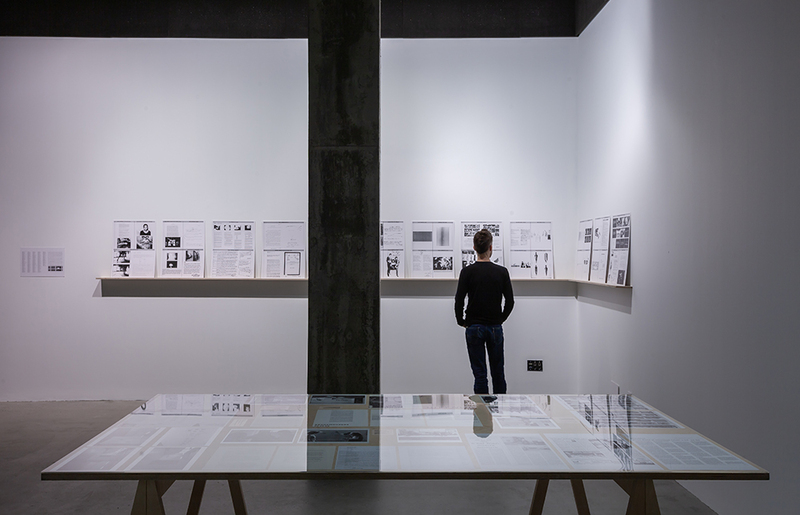 Though it has been rarely studied, this first encounter on contemporary art has particular historical significance, as its programming was both interdisciplinary and international. 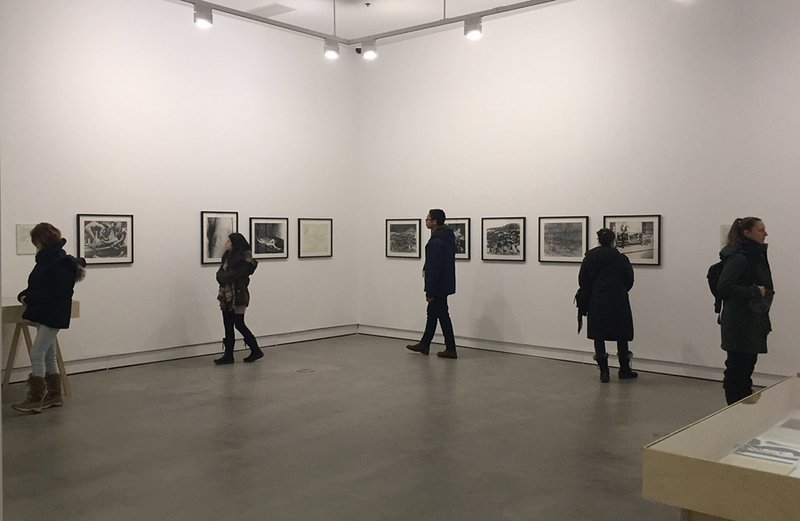 The organizers corresponded with several hundred artists in the Americas, Europe and Asia, inviting each of them to contribute projects to the exhibition that would be sent by mail. 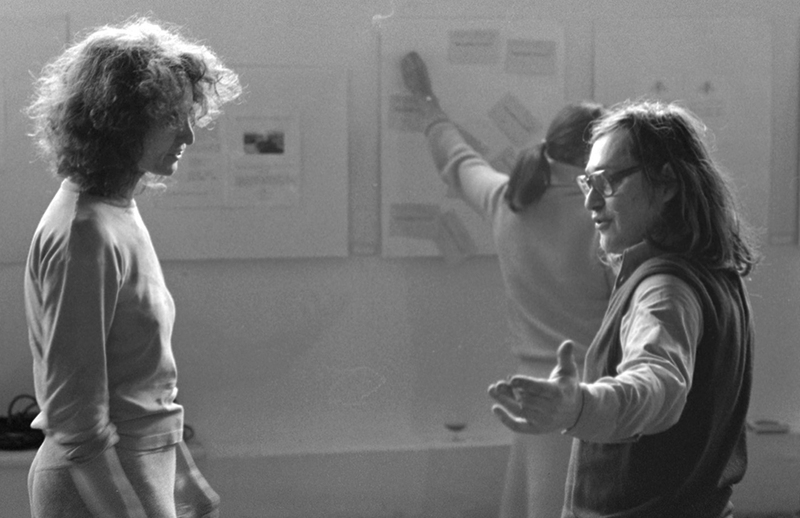 They also prepared an important line-up of performances and discussions (including Giuseppe Chiari, Raymond Gervais, Simone Forti and Charlemagne Palestine, General Idea, Klaus Rinke, Michael Snow, and Western Front), and devised a series of talks on the most innovative practices of the time (with guests including the likes of Jean-Christophe Ammann, Germano Celant, Annette Michelson, Caroline Tisdall). Through this ambitious program – coming in the wake of the controversies around nationalism sparked by Québec 75 and the international networking efforts undertaken by PARACHUTE, the transdisciplinary magazine founded in 1975 – the organizers helped effect a major paradigm shift, whereby Montreal became more open to the world. Seeking to observe the process of 03 23 03’s historicization – to study the ways in which a historical narrative is shaped through traces left by the multiple reactivations of this type of art project – this exhibition comprises documentation of the 1977 event and its subsequent showing at the National Gallery of Canada (from May 5 to 25, 1977), a reprise of the performance by Simone Forti and Charlemagne Palestine, and a new musical performance by Michael Snow. 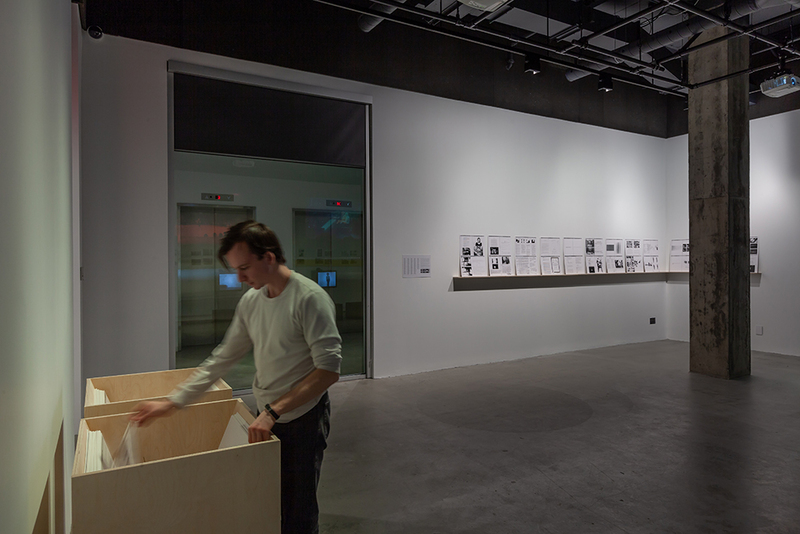 The following conversation, in terms of its narrative mode, is in part a historical fiction assembled in the manner of an anachronic dialogue: past citations, drawn from the correspondence, the grant requests, the exhibition publication, and various comments are combined with notes recently written by Chantal Pontbriand, in response to our questions, and a discussion with Normand Thériault. Exhibition: more than 300 artists selected at random from Art Diary, a pocket-size directory of world art published since 1975 by Giancarlo Politi. Performances: Giuseppe Chiari (Italy), Simone Forti and Charlemagne Palestine (United States), General Idea (Canada), Raymond Gervais (Canada), Klaus Rinke (Germany), Katharina Sieverding and Klaus Mettig (Germany), Michael Snow (Canada), Reindeer Werk (England), Western Front–Vincent Trasov (Canada). Talks: Jean-Christophe Ammann (Director of the Kunstmuseum Luzern, Switzerland, co-curator of documenta 5, 1972); Annette Michelson (professor in the Department of Film Studies at New York University); Germano Celant (Italian art critic, author of Arte Povera); Caroline Tisdall (art critic with Studio International and the Guardian, London). 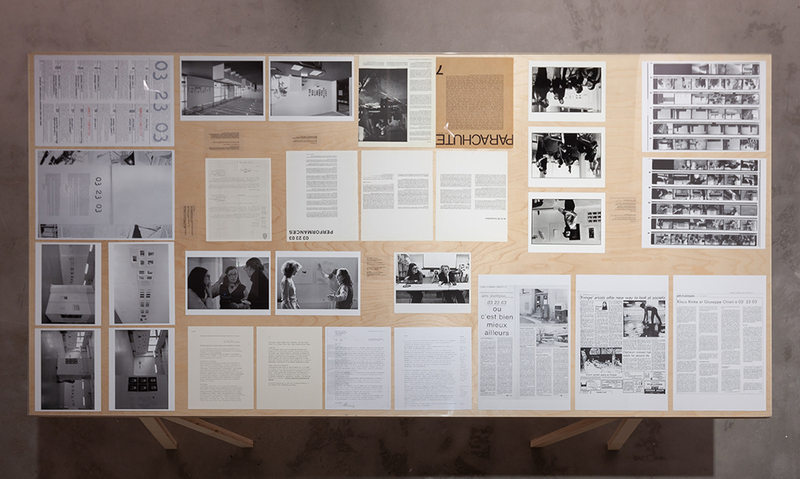 Catalogue: an imposing catalogue containing, along with texts by Chantal Pontbriand and Normand Thériault, an essay by Thierry de Duve, the guest speakers’ talks, as well as extensive documentation of the performances and each of the projects, testified to the event’s international ambitions. VOX invites you to a discussion around the issues raised by the documentary reactivation of 03 23 03 (1977). 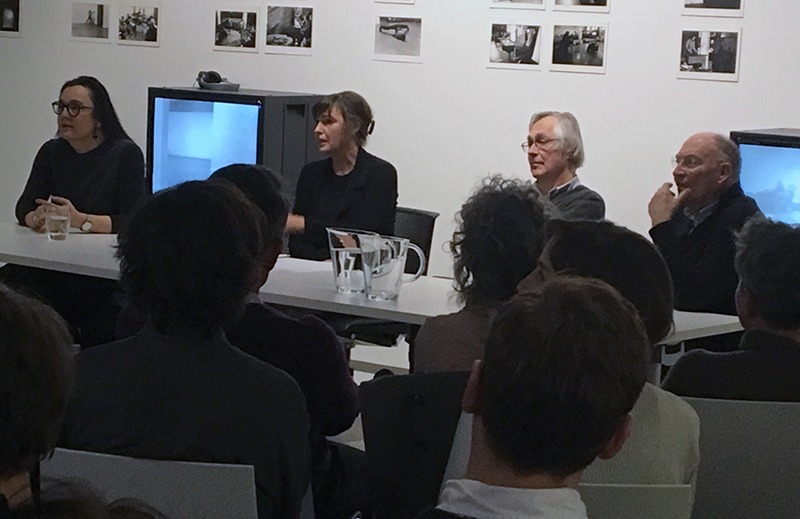 This roundtable moderated by Marie J. Jean will bring together historian and philosopher of art Thierry de Duve with two of the original exhibition’s organizers, Chantal Pontbriand and Normand Thériault. Admission is free, but seats are limited!